A smartphone that is both high-tech and sustainable sounds like a pipe dream, but designers Michael Mattana, James Paulius and Sayer Murphy have designed just that. 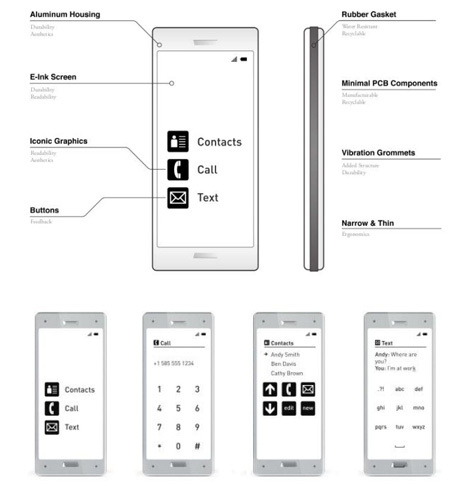 Cell is a simplified version of a smartphone that is easy to use, produces little waste, and has a lifespan longer than the smartphones currently on the market. 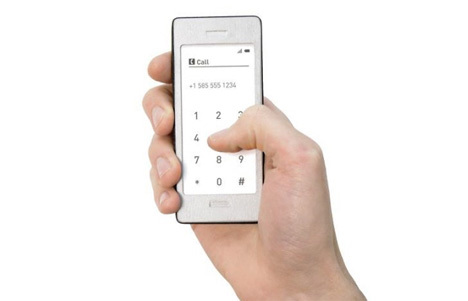 The phone’s case is made of aluminum, which is recyclable, produces little waste and takes only a small amount of energy to produce and shape. 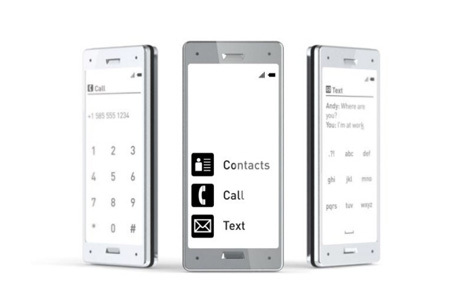 The e-ink screen uses much less power than the LCD screens found on other phones. One of the most admirably waste-saving features of the Cell is the fact that it does not come with a charger. Since Micro USB chargers are so ubiquitous in most homes, the designers realized that their phone doesn’t need to include one. This cuts down on both pre-consumer and post-consumer waste. The Cell would be especially helpful for impoverished people, people who are routinely exposed to the elements, and those with special needs. The rubber gasket protects the phone from the elements while the functionality makes it very simple to operate.